The nefarious Chairman has landed in EpicDuel and he's come to claim Delta V for his own! 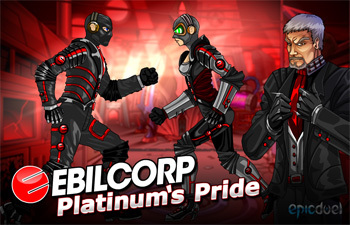 To lull the populace into compliance, Chairman Platinum is selling powerful Ebilcorp armors of his own design. These armors have a special skill: Chairman's Fury. This one-time use, selectable skill unleashes a powerful, unblockable, uppercut attack which steals 25% of your opponent's rage and transfers it to you! 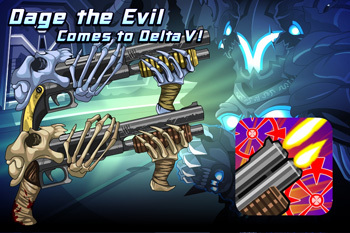 As if that weren't enough "ebil" at once, AQW's own Dage the Evil brought gear to Delta V, but is only selling it to those he deems worthy of possessing it. Do you have what it takes to wield one of his monstrous creations? EpicDuel is also hosting a new art contest in the AE forums: Submit your entries here! 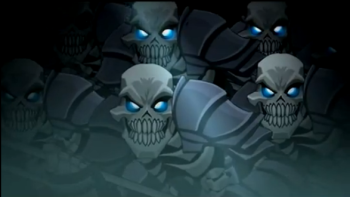 The styles will be used for EpicDuel, but everyone in the Artix Entertainment community is welcome to submit ideas! All you need is an EpicDuel character name and a cool design to enter! And if you don't have a home, you can find one here! Where "here" is J6 in Battleon! He's got 3 newly-constructed, VERY shiny houses for you to take home (/badumtish) and cherish! These houses will only be available for one week; on October 3rd, 2012, they will go perma-rare! And Balboa's got the best! 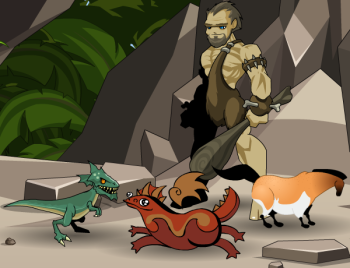 For the next week, he'll be perched on Quibble's chest showing off his newly-trained Battle-Pets! These starter Battle-Pets are reasonably priced, and ALL of them require an upgraded account! Each time Balboa's shop is updated, 1 or 2 of the pets will cost ACs and go rare, but ALL will still require membership. Are you ready to take head into combat with a Gorillaphant Calf? Fight alongside a ferocious Frogzard? Limited Time and TLaPD Shops will be in-game for at least one more week. 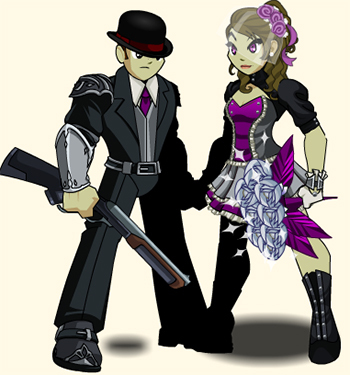 But Quibble and Khuddar are looking at moving on soon, so your time to get their gear is running out! Howdy hey! Samba here, and today I'm going to give you a little rundown of our new "My First Battle-Pet" shop that will be released tomorrow. You've met Balboa, he's our battle-pet trainer. He's tough as nails, despite his squishy Moglin body. He scours the lands of Lore, looking for beasts to collect and tame. His dream is to be the ringmaster of his own circus someday. Can you help him out? He will be hanging out in BattleOn this week, and then move to Aria's Pet Shop. Gorillaphant Calf - He's ready to throw punches left, right and hook for you! Hate Hawk - Whoever that is trying to beat you up, this hawk HATES them! Turbo Turtle - This courageous cooter is a descendant of the ancient Titan Turtle. He's prepared to protect and shield you in battle! Battle Kitten - This little sweetheart is MORE than happy to rip your oppenent to tiny shreds! ...the Fightin' Frogzard! He'll hop right into the fray with you! HE WILL LEAVE THE SHOP WEDS, OCT 3RD! I've recieved a TON of awesomesauce suggestions on the forums, and don't fear, your suggestions have been heard! Look for other exotic critters like, oh I dunno... Chicken Cows! Penguins! Sneevil Mercenary! Meeses! Armored pets! And a larger variety of Undead Servants for Necromancers, too! Balboa's Battle-Pet Shop is MEMBER-ONLY*, and is our way of thanking those of you who have taken the time and money to upgrade your account to support us here at AdventureQuest Worlds and Artix Entertainment as a whole. Because of you, it is possible for me to come to a job everyday and do something I love, for players I love. Please accept this as my big "Thank you!" members! * Though there may be 1 or 2 in each shop update that require Membership and AdventureCoins. Guild creation and joining just might be one of the most popular - and widely anticipated - features we've ever introduced! But with all new functionality comes the potential for new bugs... and THAT's what we're talking about today. If you purchased more than 20 Guild Member slots but cannot invite more than that, never fear! Yorumi has figured out a probable fix and should roll that in the next day, after a bit more testing. The double-Guild leader bug will be addressed on Monday. Ultra Epic Vordred in the /epicvordred map has become Ultra LagTest Vordred, and has lost the super-epic skill attacks for now. Overnight, we received reports of increased lag. * We knew it was related to something released Friday. To understand what was causing it, we disabled some Guild features (like promote/demote). When that didn't fix the issue for everyone, we took a look at the new Vordred monster... and there was the cause! We'll get that fixed once we study the code-errors more closely. You can still complete the quest, he just won't be QUITE as difficult this weekend. Reminder from Reens: We reserve the right to change any inappropriate Guild names. * This new lag is NOT the same as the lag experienced this Summer. It looks like that has been noticeably improved for a large majority of our players. /cheer! Join a Guild and Battle On! Every Hero can use a good group of allies to relay on, and where better to find new friends than in a Guild? J6 knows that, so get your Guild together and talk to him in Battleon because he's got a Bounty of Bosses for you to battle! Bring back the goods he's after to access his Boss Bounty Merge shop! The Judgment Guild laying the smack (and the justice) down! The mostly-done Guild User Interface (click to enlarge)! Click on your in-game options, then on the Guild List button to view the Guilds List and member slot purchase! * Guild Leaders DO NOT need your password to add you to their Guild. DO NOT give out your password to anyone, even AQWorlds staff members. ** Remember, please report any bugs with the game on our Bugs forum! We can keep track of them better on there! 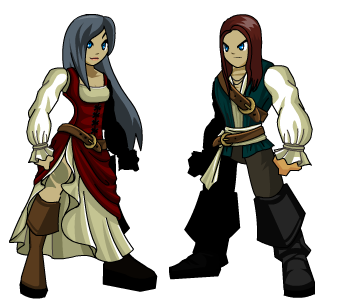 NEW Pirate Gear in Quibble's Shop! Our newest Pirate gear is HOT! Tonight Blazing Naval Commanders can purchase their Blazing Tricorns, but we've ALSO got a Chaos Squid Pet, a Chaos Squid Cape, AND Dual Berry Mug Daggers! Quibble's Talk Like a Pirate Day and the Limited Quantity Shop will remain in-game over the weekend, but they won't be here forever, so get the gear while it's still here! 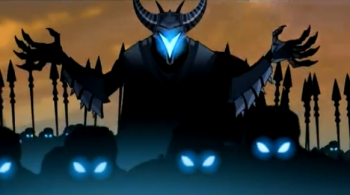 PS: The Dage and Nulgath war rewards (Legacy of Nulgath and Paragon Armor sets) have been removed. They are now perma-rare! Batten down the hatches... It's a Pirate Themed Mid-Week Celebration! Ahoy, ye lubbers! Today be International Talk Like A Pirate Day and people from all over t' world be spendin' as much o' t' day as they can stand speakin' as piratey as they know how. T' celebration was originally created in 1995 by John Baur (Ol' Chumbucket) and Mark Summers (Cap'n Slappy) whist playin' a game o' racquetball as such holidays often begin. For some reason or another t' internet adopted t' very silly holiday and (wantin' t' celebrate as many silly holidays as possible) AE followed suit addin' TLPD (or TLAPD for those o' you who just love your articles) t' our yearly roster o' holidays. It was such a wildly popular fan favorite that we've been keepin' t' spirit alive and doin' it every year. This year we have a LOT o' amazin' pirate themed items includin', as always, t' Naval Commander. We startin' doin' just one o' these but last year t' demand was so high for 2 different themes that we made two o' them. This year was t' same deal. People have been askin' for Chaos Naval Commander since we began this strange journey and thar was an equally high demand for a fiery one as well. So we proudly present t' you t' Chaos and Blazin' Naval Commanders. ...and t' much asked for Pirate Quibble rare Bank Pet. 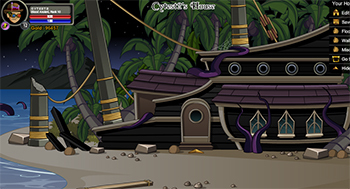 And we be returnin' t' t' ancient tradition o' a rare TLPD House with t' Chaotic Pirate Base built off o' J6's original Secret Pirate Base house which was t' first rare TLPD House. 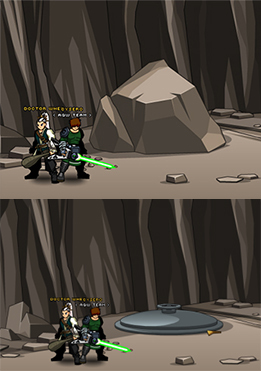 This quest line be VERY difficult t' complete unless you be a passionate AQW player! You will need some DoomWood Rep and some Fishin' Rep as well as needin' t' complete some other quest chains like Rakham's Member Only quests! LAG PTR Testin' Badge and Reward! If you be one o' t' Members who helped us test t' lag fixes on t' PTR, please check out your Book o' Lore for t' LAG PTR tester badge. You'll find a shop thar with your Eternal Lag Flame Pet item reward! 92 days until Just Another Day! Arrrr! You've got Guild Questions, and we've got Answers! During the member-only PTR, Guilds will be FREE for members to create. Once Guilds open to all players, you will still just need to have an active Membership. You will remain your Guild's Leader - with all Leadership powers - if your membership expires. Each Guild can only have one Leader, but the Officer rank has most of the same powers. On Friday, we'll be adding in the ability to toggle Guild Invites on/off. You can only join one Guild at a time, but you can leave your Guild whenever you want and join another. Guild Leaders will not have different colors for their Character/Guild names. Non-members can join Guilds, but upgrading is required to create one. Adding each new Guild member slots will cost 200 ACs each, but there will be other perks for members in the future! If YOU want to test out our new Guilds function, upgrade now and take part in AQW's newest functionality testing! /guild will bring up the list of guild members and what server they're on. /motd allows officers and guild leaders sets a new message of the day. Remember. this is ONLY PHASE I. We have a LOT more planned for guilds in releases to come! Talk Like a Pirate Art Preview! Come get your hands on new pirate booty this Wednesday, September 19th! 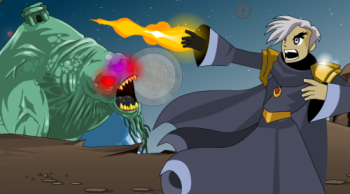 We've got the art previews you scurvy dogs have been begging for, but Quibble Coinbiter won't take your doubloons for them until his shop opens Wednesday! Blazing and Chaos Naval Commanders! 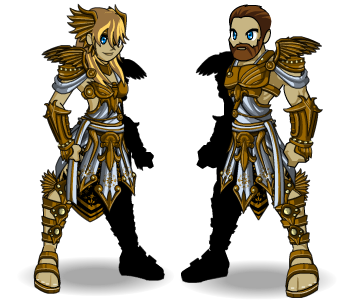 Galleon Gal and Scruffbuckler Armors! This isn't ALL the gear you landlubbers can look forward to Wednesday! We've got the entire starboard warehouse stocked with the rest of the gear... but you'll need to wait until Cysero's Design Notes later this week for more details! So we're giving you a list! Get ready for the most EPIC Fall yet! Joining a Guild and slay AQW's biggest, baddest, epicest enemies this Friday! Discover Death's purpose, past... and future! AQWorlds' 4th birthday/ Artix Entertainment 10th Anniversary Extravaganza!!! The most insane Mogloween yet! 3rd Birthday Event Goes Rare in October! For AQWorlds' 3rd birthday, our musical guests really were gigantic stars, literally! They Might Be Giants battled with you on a trip through time, space, and a giant hamster cage... but the time has come for them to go back to that little birdhouse in their soul, and their gear leaves with them on October 10th, 2012! The first pieces of the Vindicators of They set! Faction quests which will reward you with 5,000 Rep each! And we need your reviews to get our rank up! (Usually you play to rank up your character. This time you're /ranking up AQW!) 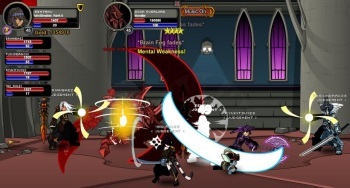 Head here to review AQWorlds and here to share your thoughts on Bladehaven! Note: You'll need the Google Chrome browser installed to view most apps. Though the gear was great, all good shops must close their doors. Aranx's birthday shop, the Obrigado shop, and the Cave art shop are leaving Battleon this evening. This is your last chance to get their epic equips before they're gone! Derp Horse goes "Derp derp derp"
We've got a Limited Quantity of Good-themed Gear! Tomorrow, Saturday September 15th, 2012, at 1PM EST (that's server time), the Good-themed Limited Quantity Shop will open with shelves full of epic new gear, but once they're sold out, your chance to grab'em is gone! Mail, Blade, and Bright Hood of The Fallen! Check out these Design Notes for details on pricing and quantity and this online time zone converter to set your alarm! Not sure what a Limited Quantity Shop is? Read this guide! 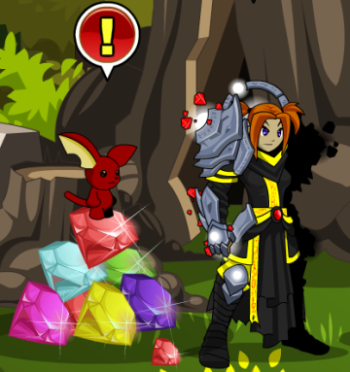 Get Your Weekly Power Gem from Twilly! IF you have a confirmed email address, you can get your FREE Power Gem once a week by talking to Twilly in Battleon! You have to wait a full week + 1 minute from the LAST time you got your Gem until you can get the next one. Example: If I get my Power Gem at 12:30pm on a Wednesday, I have to wait until 12:31pm on the NEXT Wednesday. September 16th, 2012 is your last chance to get DOUBLE the gold/AC rewards from Ballyhoo if you live in the US and watch the How To Train Your Dragon ad! The Cave Art, Obrigado, and Aranx Birthday shop all leave on Monday! 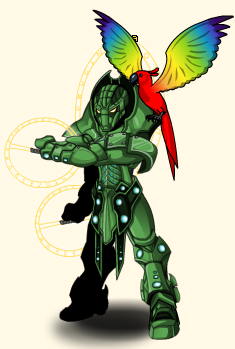 Celebrate art history, Brasil, and Aranx's birthday before then! We're still pushing to get the Guilds functionality out as soon as possible. We will have a member-only PTR test for guilds. The Lag PTR badge/gift will be awarded before that starts. Learn from Iadoa before he's fully Chaorrupted! Take on the ultimate enemy this week in The Span! As Iadoa struggles to battle the Chaorruption infecting him, YOU need to battle the zone's first Chaos Beast! Will he be able to hold on long enough to teach you what you need to know in order to defeat Chaos? Battle through a reconstruction of the AdventureQuest timeline. Take on a vicious fire dragon, study in the Temple of Hope, and defeat the ultimate Chaos-construct: Carnax, the zone's first Chaos Beast! Of all the creatures and golems he's created so far, Carnax is Iadoa's most EPIC one yet! Ultra-Carnax drops the Reign Gatekeeper Armor! After playing through the release, members can access the Member-only Ultra Carnax Challenge Fight! You'll need a whole party, because his knockout LAZAR-punch can hit for 8,000 damage! But that damage is divided by the number of people in your /party! Victory comes with character and Book of Lore badges! 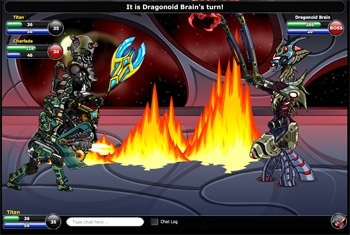 MechQuest's Dragonoid comes to EpicDuel tonight! Calling all MechQuest enthusiasts, an exciting crossover event is taking place on the planet Delta V in EpicDuel right now! Last week, Dravax the Harbinger came seeking Char and brought with him a great danger to the inhabitants of Delta V... the Dragonoid! In the face of danger, you made your voices loud and clear, choosing to defend Charfade and Delta V! While noble, your resistance has done little to discourage Dravax and the planet-destroying Dragonoid! 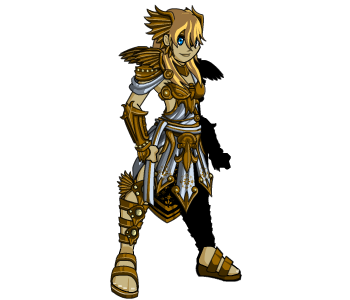 But Charfade is so pleased that you chose to save her, she's constructed a new series of items to offer in her Limited Quantity Shop (not available in AQWorlds), including class-changing variants of the Harbinger Armor! Will you help defend Charfade and Delta V from near certain doom? 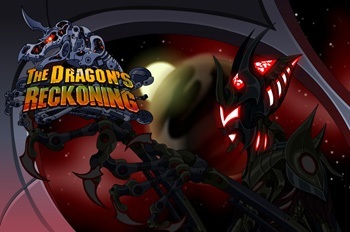 The final hour of judgment approaches in the Dragon's Reckoning event, happening now in EpicDuel! The shop opens THIS Saturday at 1PM EST! We've got a Good-themed Limited Quantity Shop stocked with a bounty of GREAT gear... PLUS all of the items that didn't sell out from the last LQS! Get ready to have your greaves knocked off, because this art will prove you're one of the Good guys... or just want people to THINK you are! Take a look at this online time zone converter and set your alarm, because you're not going to want to miss this! /Equip Art from a Prehistoric Era! /Join Battleon and talk to Cave Man (name unpronouncable) to celebrate the anniversary of Lascaux's discovery and check out his shop full of gear based on his ancient art... and the Derp-Cave Art pet you begged Beleen to add! Are You Ready for Some Good Gear?! Good things come to those who BATTLE ON! After this Summer's War of Evil, we've had a lot of players requesting gear for the Good guys... and we're here to bring it to you! This weekend's Limited Quantity Shop opens on Saturday at 1pm server time. Here's a handy online time zone converter to make logging in at just the right moment a little easier! Pillage the battlefields for the Goodest loot in the Golden Viking set! More previews, details, and prices will come out later this week, so keep an eye on the Design Notes! Reposted from Cysero's Design Notes post! The Limited Quantity Shop is just what is sounds like... it will have a certain number of items in it and once that number has sold out then that's it. The total number of items is the same across all servers so if you see 300 items left on the Galanothserver, everyone on all the other servers will see 300 left also. No, of course not. The number of items will vary depending on the item (the lowest quantity items being the most rare). The point of a Limited Quantity Shop is that the there is a limited number of them to sell. If we made enough for everyone it would defeat the purpose. However, we are looking into some of our other Limited Time Items, AC items and Seasonal Rares, seeing how many were purchased, balancing that against server traffic at the time and coming up with what we believe to be a reasonable quantity for the LQS items in most cases. How Will You Make It Fair For Everyone In Every Time Zone? After discussing this idea with a lot of you over Twitter you have helped us come with a way to make the LQS as fair as possible for everyone. 1) SOME LQS items will return. We might have a small number of items that will appear once a month so that only a few people each month can get the item but you know it will return next month. 2) We will announce the release times of most Limited Quantity Shops at least a few days in advance of the shops arrival in-game so everyone who reads the DNs will know exactly when to line up. 3) We will randomize each LQS's release time. For example: The first one might open at 7:00 PM Server time, the second one might be released at 5:00 AM Server time, the third at 1:00 PM Server time and so on. This last step will ensure that, at some point, EVERY rare hunter has to set their alarm for some unreasonable hour to make sure they get one of the items. Will The Items Be Member, Non-Member or AC? 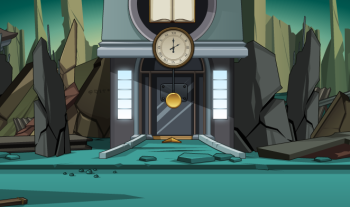 Generally most of the LQS items will be sold for AdventureCoins, but there will be some Member items and a few Non-Member items from time to time. For the FIRST LQS we plan on having one of each. Will I See Quantities Dropping Before My Eyes? No, however every time you purchase an item from the shop or re-open the shop you will see the updated amounts of remaining items. If you see only a few left, click quickly... the LQS might already be sold out! This Saturday at 1:00 PM Server Time (Eastern Standard Time or GMT -5) Khuddar Khamundi, the Black Market Vendor, will return to Battleon with our newest Limited Quantity Shop. The Span: Lessons from another Time! Return to The Span on Friday for more lessons in destroying Chaos! Iadoa, the marginally-Chaorrupted Chronomancer, claims that he wishes to teach you how to be a better Hero so that you can fulfill your Destiny and save Lore. As far as you know right now, he's telling the truth. And that Chaorruption DOES look pretty painful, so it's not a bad idea to brush up on better methods to beat it. And for THAT reason, he's giving you a hands-on lesson in in a classroom built just for adventures and quests! Iadoa's lesson-plan has you learning from the experiences of heroes who have fought battles before (or after...?) you were born. Take what they fought so hard to understand and use that knowledge build yourself into a better, stronger, faster Hero! You're going to need it if you're going to take on this week's final exam! 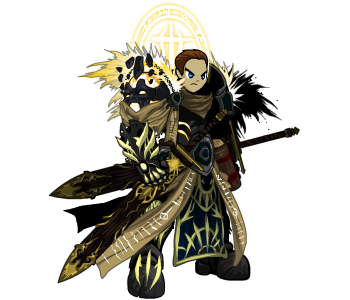 Tomorrow: Battle-pet Daimyo, Quibble Leaves! Artix promised that if Daimyo's Facebook page got 5,000 Likes, we would turn the Daimyo Pet into a Daimyo BATTLE-pet! The perfect companion for any discerning Paladin. That will go live tomorrow! If you already HAVE the member-only Daimyo pet, then it will magically become a Battle-pet. If you do NOT have a Daimyo pet, you will need to wait until Daimyo's birthday on June 1st to get one. /Join Ballyhoo before this Sunday and watch our How To Train Your Dragon ad (US players only*). If you're watching the ad with the HTTYD background skin, you'll receive DOUBLE the usual rewards: 1,000 gold OR a chance to gain 7 Adventure Coins! Watch Ballyhoo's ads up to 10 times a day! * If you live outside the US, you can still watch Ballyhoo's regular ads for a chance to get either 500 gold or a few Adventure Coins! Still on the List: Guilds Phase 1! We haven't forgotten our plan to launch Guilds by the end of Summer! (The end of September totally counts!) Now that Yorumi has reduced the lag by a significant amount, he's back to pushing on the Guilds project! We are still HOPING to get a member-only Guilds PTR out to you guys before September ends, and that's what we'll keep working towards! Have a good night, all! Study hard and do your homework, because a Hero can't tally up how much loot he's won if he can't count! The Solaris and Lunaris Clans Await! Shoot for the stars! Light and Darkness dominate the skies in an eternal clash for supremacy... and immensely-powerful artifacts! Solaris and Lunaris Call to You! This weekend, return to the /Mobius map in Chiral Valley and speak to either Saa'thel or Traveon. Ally with either the Lunaris or Solaris clans and, with your help, one side may finally gain the ability to control the stars... and Lore itself! All-new Suggestion Shop Gear is Here! Speak with Yulgar to view our all-new Suggestion items! We take your designs and put them in-game for ALL your friends to /equip! 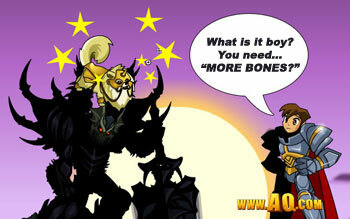 Because we've put so many of your ideas into AQW, the Suggestion Shop is overloaded! So we're moving all the current gear into the Legendary Suggestions Shop. You can still buy those OR take a look at all the epic gear in the NEW Suggestions Shop! Talk to Twilly for Power Gem Solution! We've got a POWERFUL fix to the power gem problem! Talk to Twilly in Battleon (you'll find him on top of the gem-stack) once a week to get 1 Power Gem added straight into your inventory. You MUST have a confirmed email to get a Power Gem. The Power Gem link will ALSO be included in the newsletter emails, but if you do not receive an email for any reason, you can talk to Twilly in-game to get your Gem. You cannot get more than 1 Gem a week, so if you get it through your newsletter, you cannot get a 2nd from Twilly. To confirm your email and begin receiving 1 FREE Power Gem each week, go here: Account Manager! If you see two stacks of Power Gem in your inventory, we will fix that next week. Thanks for your continued support of AQWorlds, and congratulations on the anniversary of your Brasilian Independence Day! And to share the excitement that comes with a holiday like that, we've made the Brasilian Independence Day items available to everyone! Aproveitem os raros épicos! There are some awesome new Brasil-themed items as well as all of the items from last year! 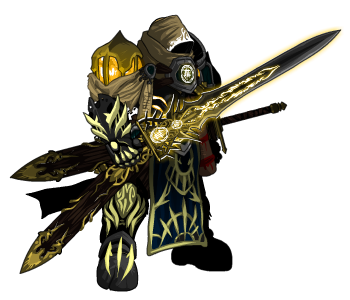 /Join Battleon to browse the 2012 Obrigado Shop! All the returning seasonal rares! * One of our Brasilian mods, Colosso (formerly Daimyo), requested we put his personal set into the shop this year. Obrigado, Colosso! DOUBLE Ballyhoo Rewards for US Players! Now through September 16th, if you live in the United States, when you visit Ballyhoo and watch our How To Train Your Dragon ad, receive DOUBLE the usual rewards! As long as you see the HTTYD video and background skin, you'll receive 1,000 gold OR a chance to gain 7 Adventure Coins! Just /join battleontown to view Ballyhoo ads up to 10 times a day! All good Heroes should know the basics of How to Train Your Dragon... and her new ad shows you a great resource to do that! View her ad, then open the Magic Treasure Chest for a chance to gain either 7 free AdventureCoins OR 1,000 gold! J6 the Bountyhunter is turning Builder! He wants to expand your housing selection, so what new houses would YOU like to live in? Samba loves animals... and making sure you're protected! This month she'll introduce the member-only "My First Battle-Pet" shop. What starter battle-pets do you want? We will announce the rewards of the Matomy Contest as soon as we get in touch with the winners! Guilds Phase I are BACK on Yorumi's active To-Do List! Have a good night, everyone, and enjoy the release! Most of you probably had no idea that we even gone and those who did know were mostly at DragonCon with us. Those few.... those lucky few... got to witness something for which words have not yet been invented. Our panel kicked SO MUCH... uh... moglin. 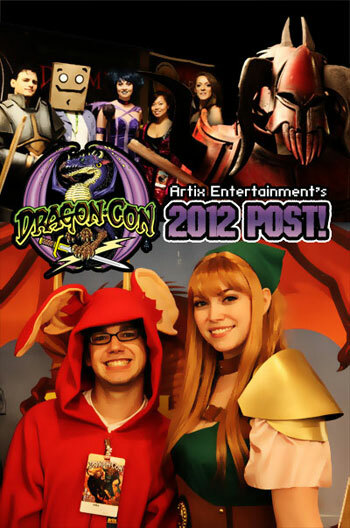 You can read all about it, see pictures and even a few teaser videos in Artix's totally and utterly amazing DragonCon 2012 post. This was my best DragonCon ever. The panel was by FAR the coolest thing we've done in a long time and there are so many other amazing stories and memories I have knocking around in my brain! We got to meet and hang out with some of our long-time friends (Prac, Turf, Hilton Clan &c) and fans. We got to answer questions and ask plenty of our own. Thanks to everyone who showed up and blew the roof off of our panel! As always, everyone who showed up at the panel and wrote their name down so that we could READ it will get the custom DragonCon pet. Tradition states that we make one every year and the past few years we've been getting the whole panel in on helping us decide what it will be. For this year's pet, the panel combined a few great suggestions into a Dragon/Pony pet with chibi Dage and Nulgath riding on its back. THIS PET IS ONLY FOR THE PEOPLE WHO ATTENDED THE DRAGONCON PANEL. There will be no other way to get it, just like all those that came before it. If you missed DragonCon this year and just can't get enough of all the amazing sights, and also weren't watching my Twitter 24/7, then you can see some of the images that I Tweeted on my Twitpic. It's like the first two whole pages. 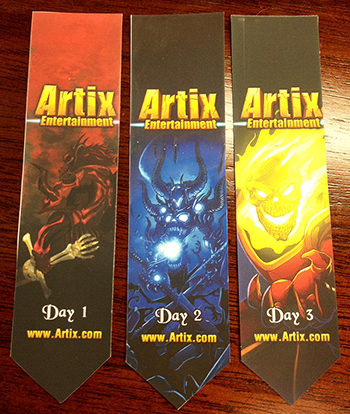 For a more active media experience, you can see even more on Artix's Tout Account and my Tout Account as well. We are now in a period of recovery and our minds and bodies heal themselves from the long-lasting effects of CON. The mysterious Con Rot has (so far) taken out Dumoose, Dage, Miko, Nythera and Zazul and it's working its magic on the rest of us slowly but it looks like most of us made it through the experience. On the AQW Forums I asked for your help coming up with a one-off adventure that we could complete with half the team down with Con Rot. There a LOT of great suggestions (I wrote down all the really good ones) But I decided to go with a Mobius expansion based on the Solaris Knight and Lunaris Sentinel armors available there in the Good and Evil shops respectively. This week you will choose your side and help the Good Oriented Solaris Knights or the Evil Oriented Lunaris Sentinels as they complete for the ancient Sol and Luna artifacts over which they have been warring for centuries. You will begin your quest on Friday in Mobius by either siding with Saa'thel the Solaris or Travon the Lunaris. You will go complete unique quests for either one side or the other, increasing your good or evil faction as you go and unlock special shops and hairstyles if you complete the story! 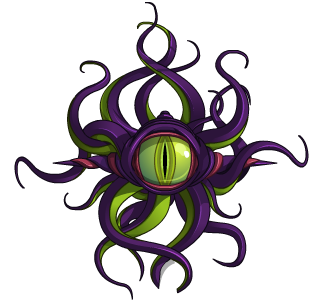 If most of the art team comes out of their Con Coma we will also try to update the Player Suggestion shop with a new round of items taken from your suggestions on the forums and brought into the game by the amazing AQW art team! Matomy AExtra Contest winners will be announced after we've contacted them by e-mail. Power Gems will be added to Twilly in Battleon. IF YOU HAVE A CONFIRMED E-MAIL then you will be able to get a power gem from him once a week! Because this past weekend was a holiday in the US (so people had less time to farm) and because we really DO want to make you guys happy when we can, we're extending the removal date of the war content until tomorrow night! We did announce that the war content would leave on September 4th, and many of you set farming schedules around that. But sometimes real life interferes with what people plan, like life, school, and holiday time with family. For those of you who do not want us to extend it, we hope you can understand your fellow players' desire to have one extra day to get what they want. And you guys who couldn't farm/buy ACs in time to meet today's deadline, we hope the extra 24 hour extension will help! Legacy of Nulgath and Paragon Sets: Sept 21st! Both the Legacy of Nulgath and Paragon sets will also go rare on September 21st. MAN did we have a great time! We saw so many new faces and got to hang out with many returning friends! The AE panel was incredible... and so were the secret, random midnight panels! We had lots of fun and returned with lots of sweet swag, but more importantly, we brought back LOTS of new ideas! 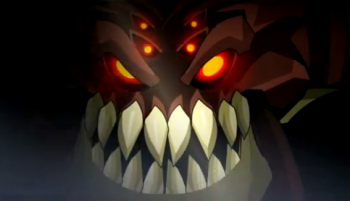 Look for Artix and Cysero's Dragon*Con Wrap-up Design Notes on Artix.com later today (or tomorrow if the ConRots hits too hard)! Talk Like a Pirate Day is in September! 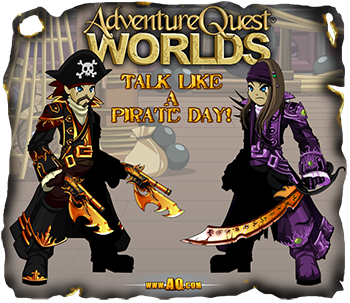 We always release a Naval Commander and Pirate Captain armor for Talk Like a Pirate Day on September 19th, 2012, and this year's theme is... Chaos! (After all, it IS the Year of Chaos!) We will have a Chaos Naval Commander, but haven't yet decided on what the Pirate Captain's theme should be. What would YOU like to see? AQWorlds: It Takes a Team to Make the Game! You all see Cysero, Artix, and I post Design Notes, and maybe 1 or 2 more names that pop up frequently on Twitter. But it takes MANY more people to keep AQWorlds up and running every week, and not all of them get the recognition they deserve. Aranx: One of the newer faces on the AQW team, Aranx pairs speed with creativity and quality, and does it all in his spare time! 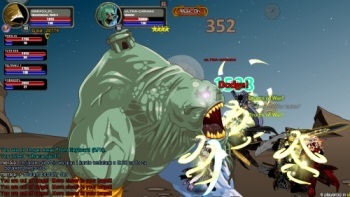 Aegis: Aegis came on board the AQW team over a year ago and contributes top-quality armors and gear in-between wrangling the deadly real-life monster. Veneeria: We aren't sure where he gets his innovative ideas for weapon concepts, but we look forward to his creative take on weaponcrafting every week, and so should you! Jemini: AQW and all-around go-to artist. She's been an AQW artist for the last half year (while still finding time to work on website assets or our other games). 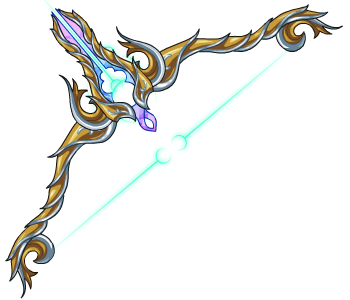 Tomix: Though he mainly works on DragonFable, Tomix will often spare some time each month to craft exquisite weapon art for AQW. Memet: AQW's newest artist, she's slowly transitioning over from Player Support staff! She created many of last week's water-themed polearms and looks forward to making much more. 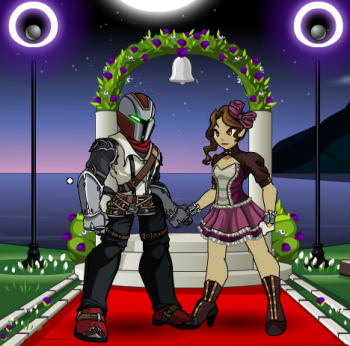 Solrac: From weapons to armors, helms to capes, AQW's most cyborgic artist creates them all with speed and dexterity! Dage the Evil: Beginning with AE as a player, Dage rose through the ranks to become an epically Evil artist for AQW! 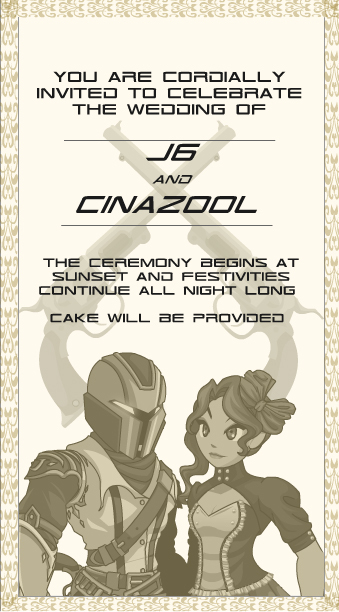 J6: He's the only Bountyhunter who gives more than he takes! With AE for years, J6 has worked on every game we've created. 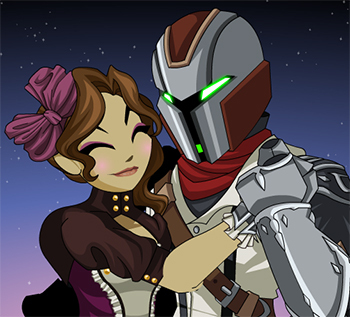 As AQW's lead artist, he creates all our maps and often finds time for NPCs, monsters, and gear, too! Sora to Hoshi: Sora's proven herself to be incredibly dedicated to AQWorlds as an in-game mod and Game Liason. She's got your back, and ours! Reens, Stratos, and the Mods: The Lead and Assistant Lead of the in-game mods, Reens and Stratos run a crew of devoted volunteers who give up their free time to make sure AQW is a safe game for you all to play! Miko, Mido, and Diozz: Please the eyes and you'll please the soul, and they want you to be happy from the start. 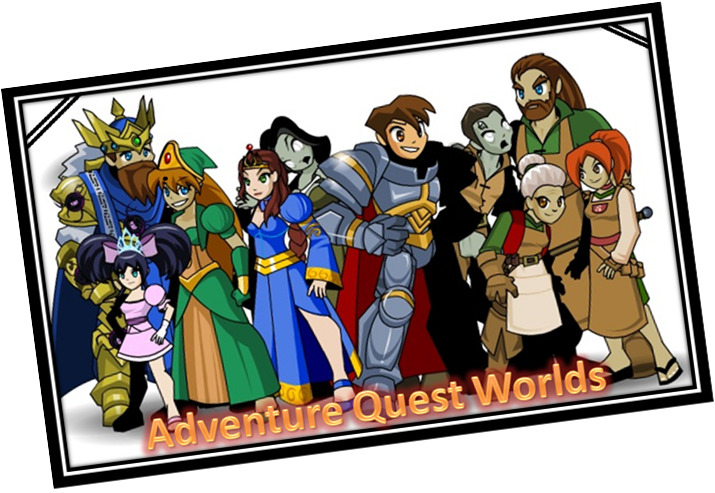 Designing and updating all of AQW's website graphics, they're unsung artistic heroes! Hizu: When you see an old monster with new, flashier skills, it's likely you'll have Hizu to thank. He's our assistant animator and buffs the epicosity of older mobs. Samba: The nicest troll you'll ever find, she likes to move it, move it... and she's moved the quality-levels of AQW's monsters and cutscenes up to heights we've never seen before! 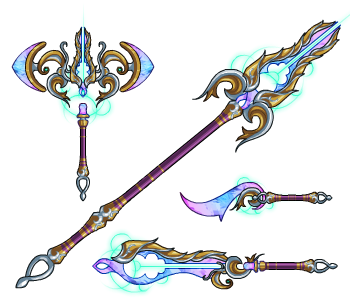 Zhimaira: The newest assistant writer, Zhimaira makes it possible for you to wield the weapons you do. 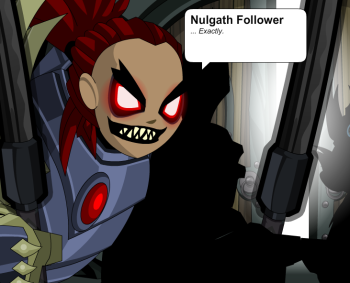 He takes charge of the database work, the newsletter, and doing all the little things that make AQW possible. Beleen: One of the punniest people on the team, Beleen uses her considerable writing skill to focus on new plans to get more people playing and staying with AQWorlds! Dumoose: Once solely focused on game design (like tradeskills and guilds), over the Summer Dumoose stepped up to the plate and is now our release coder! Yorumi: If you're able to log in and play AQW tonight, it's because of Yorumi. He's working on lag fixes, keeping the engine running, and is now devoting the bulk of his time to finishing guilds.